Learn to love without condition. Talk without bad intention. Give without any reason. 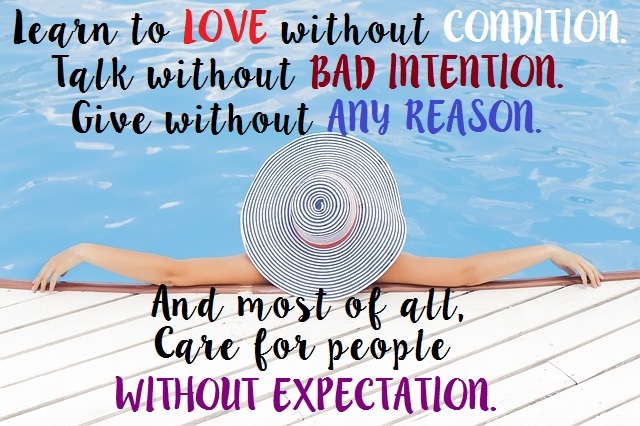 And most of all, care for people without expectation.